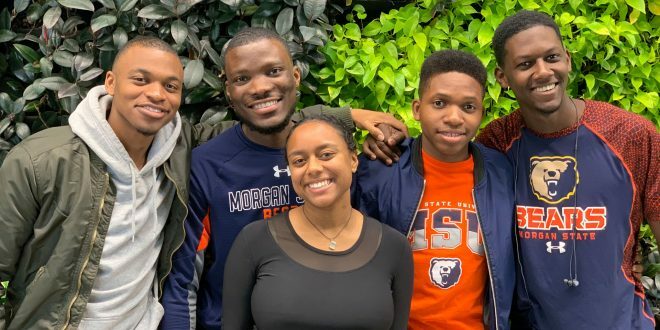 A team of enterprising Morgan students was selected from more than 500 applicants representing 10 Historically Black Colleges and Universities (HBCUs), to compete in the Moguls in the Making program. Sponsored by Ally Financial Inc. and the Thurgood Marshall College Fund (TMCF), in collaboration with Hip-Hop star and entrepreneur Sean ‘Big Sean’ Anderson, Moguls in the Making is an inventive program aimed at preparing students from HBCUs to become future entrepreneurs and members of the business community. 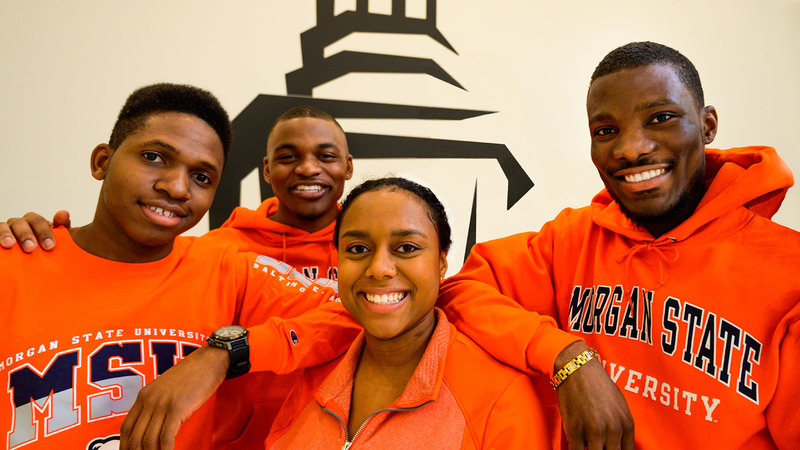 This past weekend, Morgan’s team* consisting of juniors Evan Robertson (Finance), Nile Walker (Computer Science), and Oyare Victor Oko (Electrical Engineering), and sophomores Kiley Williams (Information Science and Systems) and Stanley Nwakamma (Electrical and Computer Engineering) were in Detroit along with 45 other scholars to compete for the top spot. 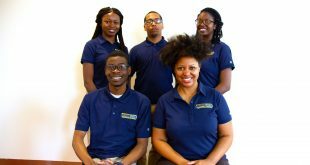 Working in teams of five, they competed by developing business plans that included solutions to economic issues facing various industries in Detroit. 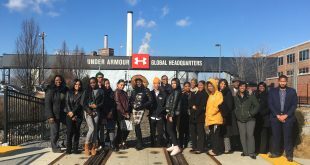 The teams then pitched their solutions to a panel of judges that included Big Sean along with representatives from Detroit vs. Everybody, Ally Financial and TMCF. Morgan’s team received third place honors for their business pitch pertaining to better food and nutrition sources in Detroit. 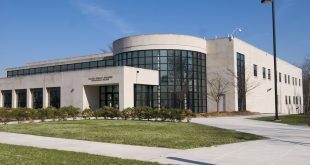 North Carolina A&T State University earned second place with their pitch on an education program while Florida A&M University took first place with their pitch related to finances. In the lead up to the competition, the students participated in mentoring sessions, heard from local business leaders, and attended financial education classes. The purpose behind the creation of the Moguls in the Making program is to give young entrepreneurs a platform and encouragement to develop much-needed business skills. 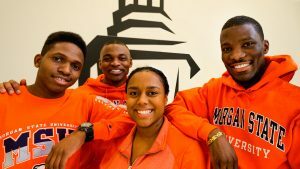 The 10 HBCUs represented by student teams included Morgan State University, Alabama A&M University, Elizabeth City State University, Florida A&M University, Howard University, Jackson State University, Norfolk State University, Virginia State University, Tennessee State University and North Carolina A&T State University. 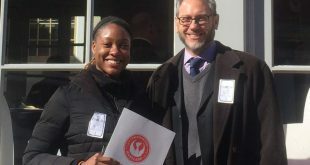 In addition to key learnings from the program, the winning team received internships from Ally, a $5,000 scholarship for each team member and MacBook Air computers. They also got to meet with Detroit native Big Sean and learned more about the Sean Anderson Foundation. 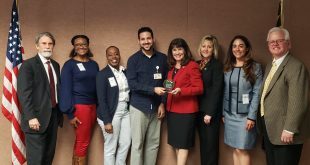 We appreciate the efforts of our Bears as they showed the City of the Detroit “The Morgan Way” to come up with innovative solutions!